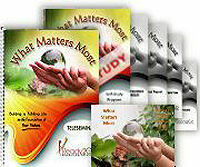 Special Report: What Matters Most - Building a Fulfilling Life on the Foundations of Your Values from Ready2Go Marketing Solutions, Inc.
To see a sample of the special report package, click here. Our values play a critical role in determining our beliefs, shaping our attitudes and influencing our actions. Every decision we make in life, big and small, is informed and influenced by our values. They are the foundation of the choices we make - from the partners we choose, to the careers we pursue, to the hobbies we take up, to the activities we engage in. 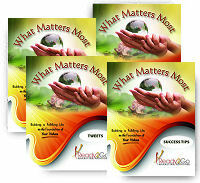 Despite the significance of values in our everyday lives few of us make the conscious choice of what our values will be. Chances are most of us have had our values imprinted upon us from infancy, into our childhood and beyond from outside influences without giving it much thought. We’ve merely adopted our values from our parents, peers, society, and popular culture. If that’s the case, it’s likely that, to some degree, the choices we make, the paths we choose, and the situations we attract aren’t necessarily a true reflection of who we are and what we want in life. The good news is that we can discover what truly matters to us and use that insight to enhance our experiences, our relationships, our decision-making and our results. By doing so we can improve our overall well-being while attracting more of what we want into our lives. This report defines and introduces the concept of values – what they are and why they’re valuable to us. In this report, your clients will discover how to identify and cultivate the core values that make up their own unique value system. By knowing what their values are, your clients will supercharge their decision-making, which will ultimately help them design a life that represents the truest version of themselves. They’re calling the shots. They get to pursue their interests and choose what their life is about. 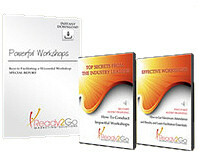 This report is filled with insights, inspiration and easy-to-follow exercises that your clients will use to discover their personal value system, then use it to align their life choices and live powerfully happy, fulfilled, and in service to humanity and themselves.